There is a duplication checker available in your reference list. You can click a button and get a list of the references that are duplicated in a new tab. Access this feature from the 'Add references' menu. If the list is empty, it means we did not find any. This is not a very advanced deduplication tool, like you can find in systematic review software, it is more a help for you not to import the same reference twice. 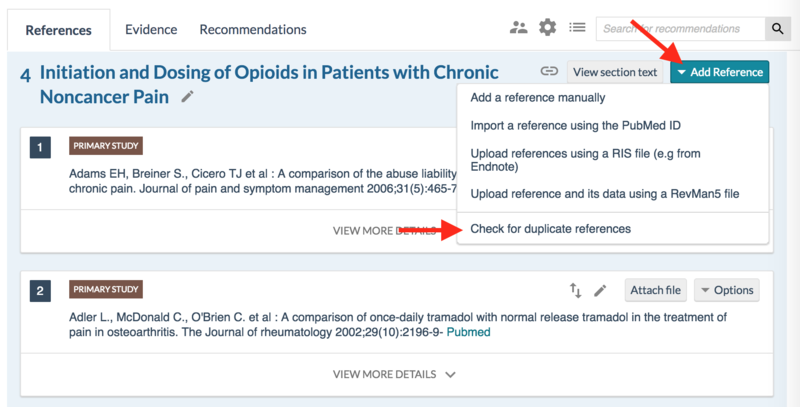 We use this feature to alert you also when you upload new references via PubMed.